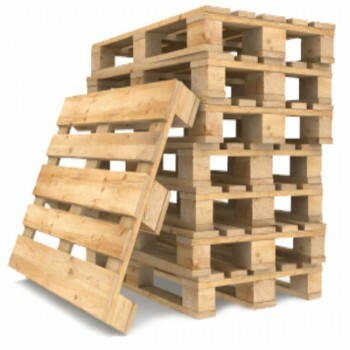 Wooden pallets have long been used for all manner of things. Most notably, they are used to transport and store edible items in the food industry. In recent times, there has been a negative media furore surrounding the use of these, based on findings that they could cause harmful contamination to food. Laboratory results claimed to have analysed wooden pallets and found that they contained harmful bacteria, listeria and other contaminants that pose a risk to human health. This was of particular concern for those food items that had direct contact with the wood. Containers that had been used to transport raw meat or poultry were thought to have played a part in producing a harmful environment, since the porous nature of the wood meant that it retained microorganisms that could cause harm and can cross-contaminate food. Researchers also found that some of the wooden containers were infested with bugs, beetles and insects and had come into contact with rodents and animal or bird droppings — in particular those wooden containers that had been stored outside and been exposed to different weather conditions. Mould, fungi and lichen were also found to be present in some of these containers analysed. These can present a serious health risk to humans and contaminate food. Media reports also highlighted that packaged food is also susceptible to rips and tears from damaged or protruding nails in the wooden containers, which can further increase cross-contamination of food with harmful bacteria residing in the wood. As well as this, research also indicated that wooden containers may possess toxic wood dust and formaldehyde, which are known carcinogens that could increase health risks if direct contact occurs with food. Any media crisis related to food and safety is normally met with a swift response and reaction from industry officials, as well as government bodies that aim to restore the calm and set up guidelines to ensure that risks to human health are minimised. In the light of this uproar, for instance, the US Food and Drug Administration (FDA) issued a draft rule that covered the safe transportation of food, with final documentation expected to be released towards the end of 2014. Investigations into the damning reports behind wooden containers have, however, since revealed that the scenario is not as controversial as the media would like people to believe. In fact, some critics even argued that the negative press was circulated by direct competitors of organisations that manufacture these wooden containers. The reality behind the reports seems to show that whilst wooden containers can become breeding grounds for bacteria that can cross-contaminate food, in the vast majority of cases, with correct care and use, there is no real proof that they cause food contamination. The important factor, therefore, seems to be how the pallet is handled, stored and used, and this is also emphasised by regulating bodies such as the FDA. There have been a number of recommendations put forward for safely using wooden containers to store and transport food. The container used should be in the best condition, and any that are damaged, broken, rotting or have protruding nails or sharp edges should be designated for recycling. Whilst critics of the negative press argue that wooden containers, if used correctly, are perfectly safe to have direct contact with food products, certain food items such as raw food or meat should be sealed and packaged at all times to reduce the risk of any contamination occurring. Containers should be routinely inspected for any signs of deterioration, damage, stains or residue, as well as possible bug infestation or evidence of animal or bird droppings. It is notoriously hard to clean and restore these types of containers due to their porous nature, so any damaged ones should be sent for recycling. It appears that problems can start to materialise for those containers that have been left outside, so it is recommended to store them inside at all times. If this is not feasible, then any left outside should be covered up so they are protected from the weather (and routinely checked). Only wooden containers of the highest standard of materials should be used from reputable suppliers. Never use second-hand ones from sources where their previous use can not be traced. After a wooden container has been used, it should be cleaned and dried to ensure that it remains in optimum condition for further use.